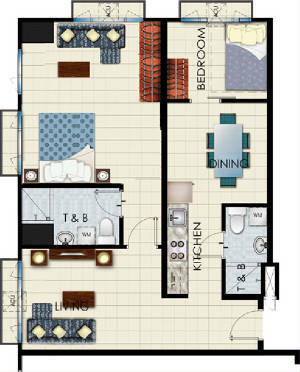 Find all the comforts of home at Sea Residences – your tropical paradise right in the center of the city. Live in a place where you can achieve urban work-life-balance with ease. Within the community lies a tropical alcove flanked by greeneries, swimming pools, playgrounds, a clubhouse and more. Sea Residences is a bold new concept in condo living as it allows residents to experience the conveniences of the city against a backdrop of the sea and a dash of green. 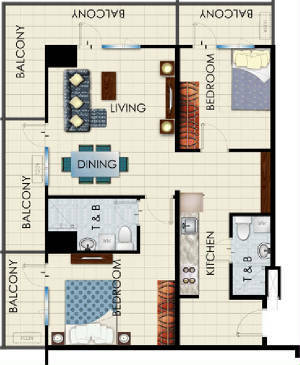 The six towers house well appointed condominium units from where you can enjoy the best views! – the awe-inspiring sunset of the Manila Bay or the stunning Makati skyline. 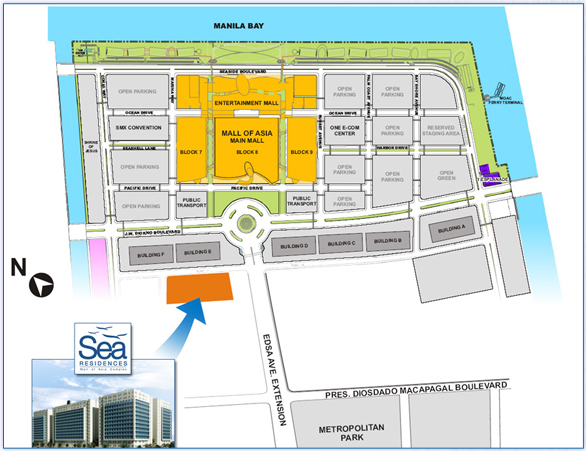 Sea Residences is a bold new concept in urban living within the Mall of Asia Complex. 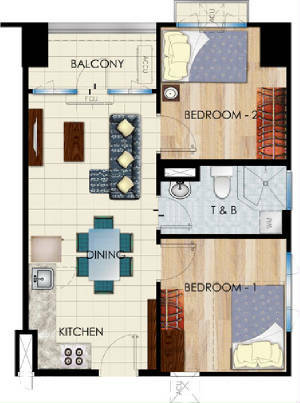 Six towers house spacious condominium units offering spectacular views of either Manila Bay or the stunning Makati Skyline. And within the towers, you’ll find a lush tropical oasis with trees, swimming pool, playgrounds, a clubhouse and more.